Affiliation:Kattankulathur Campus, SRM Institute of Science and Technology (formerly known as SRM University). Permanent Address R.C. Melakondai,Village and Post, Vikravandi (Via), Villupuram T.K. & Dt.,Tamil Nadu – 605 652. Affiliation : Department of Physics and Nanotechnology, Kattankulathur Campus, SRM Institute of Science and Technology (formerly known as SRM University). Appropriate knowledge in Latex (PCTEX) 3.2 version. 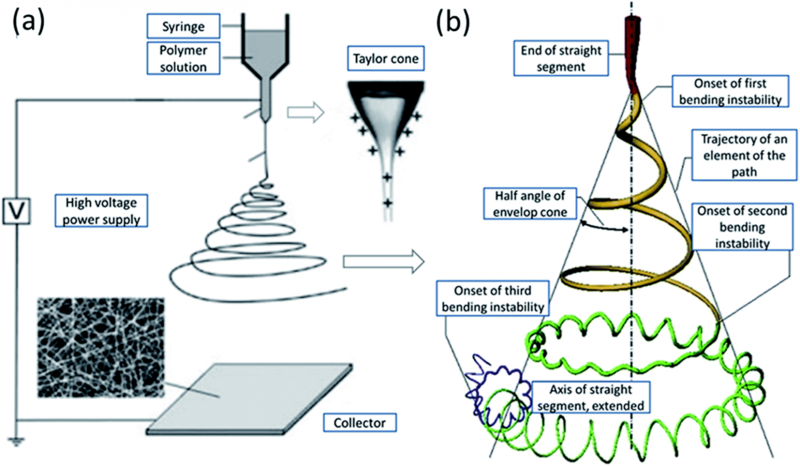 With the emergence of Nanoscale technology, our research concerns on to fabricate the polymer fibers with high structural yields with the aid of conventional electrospinning technique. Efforts pivoted into the deeper understanding of how such nanoscale functionalities could thus be utilized in useful form plus refinements in fabrication strategies such as solvent-assisted insitu polymer fiber formation. The principle lies on the electric filed viscosity of the polymer solutions. Polymer blending or mixing is an easy method in polymer engineering for improving the properties of a homo polymer or the pure polymer. The resultant composite has enhanced properties and can be classified as homogeneous or heterogeneous blends, based on the miscibility. The attainable porous structures could provide the platform as dynamic pn junctions and thus could overcome certain inherent barriers in modern technology. The choices of selectivity of polymer solutions are based on blends of Poly Vinyl Carbazole (PVK) & Styrene Ethylene Butylene Styrene (SEBS). Solvent-assisted technique (electrospinning) to fabricate smooth polymer fibers. M. Alagiri, C. Muthamizhchelvan, S. Ponnusamy, Synthesis and Characterization of Dumbbell-Like Nickel Nanostructures, Asian Journal of Chemistry 25, 2013, S177-S178. M. Alagiri, C. Muthamizhchelvan, S. Ponnusamy, Synthesis of Iron Nanowires and its Magnetic Properties,International Journal of Chem Tech Research, 7, 2015, 1612-1615. 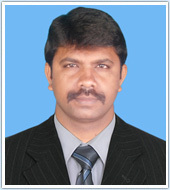 Working as an Assistant Professor in the Department of Physics and Nanotechnology at SRM Institute of Science and Technology (formerly known as SRM University), Kattankulathur from 2012 to till date. Area or Subject: Structural Engineering. Affiliation: Department of Civil Engineering, Kattankulathur Campus, SRM Institute of Science and Technology. Strength of Materials, Structural Design (Masonry and Reinforced Cement Concrete). Structural Health Monitoring (Real time identification of interfacial delamination using fiber optic sensors), Fracture mechanics of Composites, Dynamic Analysis of sandwich composite plates, Fatigue performance of sandwich composite structures, Mitigation of delamination using multi-walled carbon nanotube (MWCNT). Patra, A.K. and Mitra, N., 2016. Interfacial Delamination in glass-fiber/ polymer foam core sandwich composites using singlemode-multimode-singlemode optical fiber sensors: Identification based on experimental investigation. Journal of Sandwich Structures and Materials, Accepted on Sep 2017 doi: 10.1177/109963621773983 (Imapact Factor: 2.933)..
Patra, A.K. and Mitra, N., 2016. Mixed-mode fracture of sandwich composites: Performance improvement with multiwalled carbon nanotube sonicated resin. Journal of Sandwich Structures and Materials, p.1099636216656485 (Imapact Factor: 2.933 ). Mondal, S., Patra, A.K., Chakraborty, S. and Mitra, N., 2015. Dynamic performance of sandwich composite plates with circular hole/cut-out: A mixed experimental-numerical study. Composite Structures, 131, pp.479-489 (Impact Factor: 3.858). Patra, A. and Mitra, N., 2014. Interface fracture of sandwich composites: Influence of MWCNT sonicated epoxy resin. Composites Science and Technology, 101, pp.94- 101. (Impact Factor: 4.873). Patra, A. and Mitra, N., 2016, August. Numerical Experimental study on Influence of Multiwalled Carbon Nanotube on Mixed Mode Fracture Toughness of Sandwich Composites. In proceedings of 21st International Conference on Composite Materials (ICCM 21), 20-25 August, 2017 at the Xi'an Qujiang International Conference and Exhibition Center, in Xi'an, China. Paper Id: 1300. Patra, A. and Mitra, N., 2016, September. Influence of Multiwalled Carbon Nanotube on Interfacial Fatigue Performance of Glass Epoxy Polyvinyl Chloride Core Sandwich Composites. In Proceedings of the 31st American Society for Composites Technical Conference and ASTM D30 meeting. Williamsburg lodge, Virginia, USA. Paper Id: 1105. Patra, A.K. and Mitra, N., 2016, June. Numerical Experimental study on Influence of Multiwalled Carbon Nanotube on Interface Fracture of Sandwich Composite. In 17 th European Conference on Composite Materials (ECCM 17), ICM, Munich, Germany. Paper id: aid_69a781448720248. With Prof. N. Mitra and others, "Interfacial delamination crack profile estimation in polymer foam cored sandwich composites" under review at Engineering Structures, 2018. Assistant Professor, Department of Civil Engineering, National Institute of Technology Sikkim, India, Aug’ 2016- June 2018. Assistant Professor, Department of Civil Engineering, Haldia Institute of Technology, West Bengal, India, One semester, Mar.’14 to Aug.’ 2014. Head of the Department In-Charge, Department of Civil Engineering, National Institute of Technology Sikkim, India, Aug 2016- Mar’ 2017. Faculty In-Charge, Construction and maintenance Activities (FICMA), NIT Sikkim, 2018. Member of Senate, NIT Sikkim, Aug.’16 to Mar’ 17. Member, Institute Under Graduate Committee (IUGC), NIT Sikkim, Aug.’ 2016 to June 2018. Member, Swachh Bharat Mission Committee, NIT Sikkim, 2018. Member, Anti-Ragging Committee, Aug., 2016 to Mar., 2017. Development of new Curriculum and Syllabuses for the UG level in the C.E. Dept., NIT Sikkim through Curriculum and Syllabus development workshop, 2016. Worked as Senior Research Fellow actively under supervision of Prof. N.Mitra, C.E. Dept., IIT Kharagpur for establishing Composite Research lab. under C.E. Dept., IIT Kharagpur. Worked as Senior Research Fellow, SRIC, IIT Kharagpur actively to complete DST sponsored research project under supervision of Prof. N.Mitra, C.E. Dept., IIT kharagpur. Worked as Senior Research Fellow, SRIC, IIT Kharagpur actively to complete experimental part of ISRO sponsored research project under supervision of Prof. N.Mitra, C.E. Dept., IIT kharagpur. Worked under Govt. of West Bengal for more than 15 years (1996-2011) to actively work in New Town Kokata Project (City Construction Project) and South 24 Parganas Arsenic Water Supply Scheme. Worked under Public Works Department, City Division, Kolkata, Govt. of West Bengal for one year. Worked under S. Banerjee and Asso., in the construction of factory shed for Ganges Valley Food Corporation, Dankuni Area, West Bengal. International workshop on Emergiging areas of Photonics and Future Applications (IWPFA 2015) organiged by CSIR- Central Glass and Ceramic Research Institute Kolkata, India, 2015. Seminar on NBA Accreditation organized by NIT Sikkim, 2018.
International travel award from DST, New Delhi for presenting paper at 31st ASC conference organized by NASA and Univ. of Utah, USA, 2016.
International travel award from IIT Kharagpur for presenting paper at ECCM 17, Munich, Germany, 2016.
International travel award from IIT Kharagpur for presenting paper at 30th ASC conference organized at Michigan State Univ., USA, 2015. Fellowship from DST, New Delhi as SRF for sponsored research project (Sep. 2011 to Feb. 2014). Fellowship from ISRO, as SRF for sponsored research project (Sep. 2014 to May 2016). GATE Scholarship from MHRD, India for study in PG course from June 2009 to May 2011. Structural Design (Masonry and Reinforced Cement Concrete). Patra, A.K. and Mitra, N., 2016. Mixed-mode fracture of sandwich composites: Performance improvement with multiwalled carbon nanotube sonicated resin. Journal of Sandwich Structures and Materials, p.1099636216656485 (Impact Factor: 2.933 ). Mitra, N., Patra, A.K., Singh, S.P., Mondal, S., Datta, P.K. and Varshney, S.K., Accepted on Sept. 2017. November. Influence of Multiwalled Carbon Nanotube on Mixed Mode Fracture of Sandwich Composite. In American Society of Composites- 30th Technical Conference. Kellogg center, Michigan state university, Michigan, USA. Paper Id: 1642. Member, Anti-Ragging Committee, Aug., 2016 to Mar. 2017. Worked as Senior Research Fellow, SRIC, IIT Kharagpur under supervision of Prof. N.Mitra, C.E. Dept., IIT Kharagpur to complete DST sponsored research project. Worked as Senior Research Fellow, SRIC, IIT Kharagpur under supervision of Prof. N.Mitra, C.E. Dept., IIT Kharagpur to complete the experimental part of ISRO sponsored research project. Worked under Govt. of West Bengal for more than 15 years (1996-2011) to actively work in New Town Kolkata Project (City Construction Project) and South 24 Parganas Arsenic Water Supply Scheme. International workshop on Emergiging areas of Photonics and Future Applications (IWPFA 2015) organised by CSIR- Central Glass and Ceramic Research Institute Kolkata, India, 2015. Member, American Society for Composites, joined on the year 2015. Member, Optical Society of America, 2016. Algorithms to find Connected Detour and Forcing Connected Detour Numbers in Graphs, IMRF, pp. 94-98, March 2018. A Vision of Internet of Things based Health Care: Applications, Challenges and Opportunities, International Journal of Advance Engineering and Research Development Volume 5, Issue 02, pp. 658-661, 2018. IoT Based Smart Cities: A Survey on Enabling Technologies, Applications and Challenges, International Journal of Advance Engineering and Research Development Volume 5, Issue 02, pp. 594-598, 2018. Determinants of Public And Private Sector Bank’s in India: A Discriminant Model, International Journal of Applied Business and Economic Research, Vol.15 pp. 143-153, 2017. Algorithms to find Geodetic Numbers and Edge Geodetic Numbers in Graphs, Indian Journal of Science and Technology, Vol 8(13), 53160, July 2015, pp.1-5. Algorithms to find Linear Geodetic Numbers and Linear Edge Geodetic Numbers in Graphs, International Journal on Recent and Innovation Trends in Computing and Communication ISSN: 2321-8169 Volume: 2 Issue: 12 (2014) pp. 3926 – 3931. Algorithms to find Detour Numbers, Vertex and Edge Detour Numbers in Graphs, International Journal of Applied Engineering Research ISSN 0973-4562 Volume 9, Number 24 (2014) pp. 30323-30332. CLOUD COMPUTING SECURITIES AND THREATS, National Conference on Emerging challenges and future prospects in Computer Science and Applications, Feb 2013. 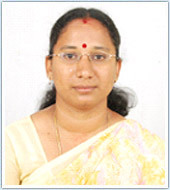 Assistant Professor (Sr.G) & Head, Faculty of Science and Humanities, SRM Institute of Science and Technology (formerly known as SRM University), Chennai, From July 2011 to Till date. 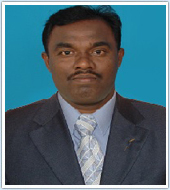 Principal (I/C), Salem Christian College of Arts and Science, Salem, From August 2010 to May 2011. Senior Software Engineer, Quintegra Solutions (M) SDN BHD, Kuala Lumpur, Malaysia, From April 2008 to May 2009. 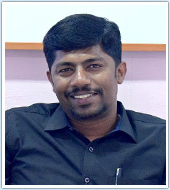 Senior Software Engineer, Quintegra Solutions, Chennai, India, From April 2007 to March 2008. One of the organizers of the Information Security Marathon (EHACK 2013) held at SRM Institute of Science and Technology (formerly known as SRM University), the largest and longest Hands- on workshop that had 65,000 participants on the globe. Participated in the “Contemporary Microsoft Technologies” organized by Microsoft Corporation and ICT Academy of Tamilnadu, Chennai. Attended several seminars conducted by UGC (University Grants Commission) a body nominated by the Government of India that implements and monitors policies concern with higher studies in India. Participated in the Workshop on EFFECTIVE CLASS ROOM COMMUNICATION. Attended UGC sponsored seminar on THEORETICAL COMPUTER SCIENCE conducted by the Institute of Mathematical Science Studies, Chennai. Participated as a Resource Person for several Computer related and also for the Personality development seminars organized in the University and College level. International Award “Best Academic Administrator” from Top Engineers Group. Research day award for publications in Scopus indexed journals. S.Albert Antony Raj and S.P.Victor, Algorithms to find Geodetic Numbers and Edge Geodetic Numbers in Graphs, Indian Journal of Science and Technology, Vol 8(13), 53160, July 2015, 1-5. S.Albert Antony Raj and S.P.Victor, Algorithms to find Detour Numbers, Vertex and Edge Detour Numbers in Graphs, International Journal of Applied Engineering Research ISSN 0973-4562, Volume 9, Number 24 (2014) pp. 30323-30332. S.Albert Antony Raj and S.P.Victor, Algorithms to find Linear Geodetic Numbers and Linear Edge Geodetic Numbers in Graphs, International Journal on Recent and Innovation Trends in Computing and Communication ISSN: 2321-8169 Volume: 2 Issue: 12 3(2014) 926 – 3931. A.Subbarayan , S.Albert Antony Raj and J.Jothikumar , Analysis of Selected Financial Ratios of Private and Public Sector Banks in India: A Principal Component Approach, , International Journal of Agricult. Stat. Sci. Vol. 13, No. 1, pp. 233-241, 2017. Board of Studies Members for different Arts and Science Colleges. Prepared Course materials for C, C++, Java, Visual Basic and MS Office. Understood and practiced RDBMS concepts and applications such as OODBMS, ERD, Oracle and SQL Server. Provided quality guidance and support to students for completing their academic projects. Coordinated various programs for students to improve their Technical and Career skills development. Involved in process initiatives including Accreditation for Educational Institutions. External examiner for Computer Science courses in various institutions. Member of Board of Studies. The Board of Studies committee sets the syllabus for various Computer related courses and implementing them. Served as Programme Coordinator for National Service Scheme (N.S.S), a social service scheme runs by the University. An Active member and Zonal coordinator of YRC (Youth Red Cross) society. Teachers day award for publishing research papers in scopus indexed journals. “Best Academic Administrator”, an International Award received from Top Engineers, 2016. Ph.D. (Pursuing) Public Health SRM Institute of Technology. Srivastava J, Joseph A. Why Institutional Deliveries are Low in Balrampur District Uttar Pradesh: A Cross-Sectional Quantitative and Qualitative Exploration. J Obstet Gynecol India. 2018. Ramamoorthy T, Patil RR and Joseph A. Performance Index for Assessing Government Funded Nutritional Programme in India. Austin J Nutri Food Sci. 2017; 5(2): 1092. Anup KC, Joseph A, Ritu KC. Pre-diagnosis and diagnosis cost associated before initiation of directly observed treatment, short course regimen in urban Pokhara, Nepal. Int J Health Sci Res. 2017; 7(4):360-369. Sharma Akshay, Joseph Alex. “Assessment of nutritional status and developmental milestones among children under 4 years of age in Sahariya tribes, Shivpuri, Madhya Pradesh” .Public health research Series. Volume 4 .ISSN No- 2321-0206. 2015. Krishnaveni. A, Joseph Alex.”Prevalence of Respiratory Symptoms among Cement Factory Workers of Ariyalur District in Tamilnadu “.Public health research Series. Volume 4 .ISSN No- 2321-0206. 2015. Sadiq A. Said, Joseph Alex. Female genital mutilation and cutting (FGM) in Nigeria. Public Health Research Series. Volume 2 .ISSN No- 2321-0206.2013. With Abinaya V . A Cross-Sectional Community Based Study On Assessment Of Childhood Injury, Among Children In The Age Group 1- 14 Years, In Sitteri Panchayat Dharmapuri District, Tamilnadu. With Aiswarya Anil.A qualitative exploration of perception and treatment seeking behavior for Tuberculosis among Tribes of Nilgiri, Villupuram and Nammakal districts of Tamilnadu. Assessment of childhood injuries and establishment of Mobile base community Childhood injury Surveillance system (m-CCISS) among tribal children in Tamilnadu. Funding Agency – ICMR New Delhi.2017-18. With M Bagavandas and Thilagavathy .Impact Evaluation Study on “Mahatma Gandhi National Rural Employment Guarantee Scheme (MGNREGS)” in Tamil Nadu .Funding Agency - Department of Evaluations and Applied Research, Government of Tamilnadu.2017-18. With M Bagavandas and Thilagavathy .Evaluation Study on “Distribution of Aids and Appliances to the Differently Abled”- in Tamil Nadu .Funding Agency - Department of Evaluations and Applied Research, Government of Tamilnadu.2018. With Geetha Velliah .Assessment of Heamoglobinopathies and G6PDs in Tribal areas of Dharmapuri District - A multi centric ICMR Task Force Study. Funding Agency – ICMR New Delhi.2018. With Anil Krishnan. Estimate the burden of TB among the tribal population and develop an innovative health system model to strengthen TB control in the tribal areas. With Prof Satish Kumar. Magnitude of Childhood Injuries in India - A multi centric ICMR task Force Study. Funding Agency – ICMR New Delhi.2018. Organizing committee member -Continuing Medical Education on “Epidemic and Pandemic Preparedness And Response” held on 24th & 25th. September 2012, Jointly Organised by School of Public Health, SRM University, Chennai & World Health Organization, Country office for India. Organizing committee member - Continuing Medical Education On Multi Drug Resistant Tuberculosis, In collaboration with Project Axshya, International Union Against Tuberculosis and Lung Disease. March 22, 2013. Organizing committee member -2nd National Conference of Health Economics Association of India on Strengthening Health Systems in India: May 29-31st 2013. SRM University, Chennai. 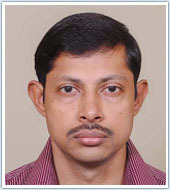 Organizing committee member -Eleventh Conference Of Indian Association For Social Sciences And Health. Health Transition, Social Change and Development &Fourth Pre-Conference workshop on “Approaches to Social Science Research”.26 to 28 Dec 2013. Chief Guest and Keynote Speaker, Hospital Disaster Management Awareness Programme, Conducted by Disaster Management Committee, SRM MCH&RC .13th Dec 2017. Youth Session -Eleventh Conference of Indian Association for Social Sciences and Health, -Theme: Health Transition, Social Change and Development 26-28, December 2013, Chennai, Tamilnadu, India. Tb notification- Continuing Medical Education on Multi Drug Resistant Tuberculosis, 22 March 2013, Chennai, Tamilnadu, India. 3rd International Conference on Challenging Exclusion. Organized by National Institute for Empowerment of Persons with Multiple Disabilities, Ministry Of Social Justice And Empowerment Govt. of India at SRMIST on Feb 1-2, 2018. Disaster Management Workshop conducted by India Red Cross Society at SRM IST on Oct 23, 2017. Gold medal awardee at Research Day, for the best faculty Research Paper entitled; “A Cross-Sectional Community Based Study On Assessment Of Childhood Injury, Among Children In The Age Group 1- 14 Years, In Sitteri Panchayat Dharmapuri District, Tamilnadu” at SRM Institute of Science and Technology. March 2018. Teacher’s Day Appreciation Award for External for Funded Project, SRM Institute of Science and Technology, 2016. Teacher’s Day Appreciation Award for Academic publications, SRM Institute of Science and Technology, 5th Sep 2012. Life member International Epidemiological Association (IEA).2018. Life member India Clinical Epidemiological Network (IndiaClen). 2017. Life Member Indian Association of Public Health (IPHA). 2012. Affiliation: Department of Computer Science & Engineering, Kattankulathur Campus, SRM Institute of Science and Technology. With C. Lakshmi, R. Rani Krithiga, "Iris recognition Technique based on Combined Features of GLCM and FFT," Conference on Computational Intelligence and High Performance Computing, SRM University, 2016. National Workshop on “Machine Learning using MATLAB”,Sep, 2016, SRM University. Organized and conducted one day Refresher course in “R FOR MACHINE LEARNING – HANDS-ON TRAINING “on Apr, 2015 for the faculty members of SRM University.